Gregory Wayne "Greg" Oden, Jr. (born January 22, 1988, in Buffalo, New York) is an American basketball player, currently signed to the Portland Trail Blazers of the NBA. While in high school, Oden was named the PARADE's High School Player of the Year and the Gatorade National Boys Basketball Player of the Year two years in a row, in 2005 and 2006. Oden played basketball for Ohio State University for only one season, during which the team was the Big Ten Champions and the tournament runner-up in the NCAA Men's Division I Basketball Championship. Oden lived in Buffalo, NY until he was nine years old and then moved to Terre Haute, Indiana, attending Fuqua Elementary School and playing basketball in the seventh grade at Sarah Scott Junior High School. He then moved to Indianapolis in the eighth grade. Oden has stated that if he were not an NBA player he would be going to school to be a dentist. In the 2005-06 season, Oden, a 7'0" senior, led Lawrence North High School to an undefeated record, a third straight Class 4A Indiana state championship. For the season, the center scored 22.0 points and 10.5 rebounds per game while shooting 74 percent from the field. Oden dominated in the state championship game against Muncie Central, scoring a game-high 27 points and grabbing 26 rebounds. Lawrence North won its last three state championship games by a combined 56 points and its average margin of victory during the regular season was 41 points. On June 29, 2005, Oden and Lawrence North teammate as well as good friend Mike Conley, Jr. announced that they would be attending Ohio State University starting with the 2006-07 season. Oden had surgery on his right wrist due to an injury on June 16, 2006, in Indianapolis to repair a ligament injury late in his senior high school season. As a result, he sat on the bench during the beginning of the 2006-07 season with Ohio State, during which his team was ranked as high as first before losing to North Carolina. He made his college debut on December 2, 2006, against Valparaiso, coming off the bench. He finished the game with 14 points, 10 rebounds and 5 blocks. In December of that year, Phoenix Suns General Manager Steve Kerr described him as a "once-in-a-decade player." As of March 14, 2007, Oden has averaged 15.5 points, 9.7 rebounds, and 3.5 blocks per game. The Big Ten honored Oden with Player of the Week, along with Wisconsin's Alando Tucker, on January 29, 2007. In the previous week he had averaged 18 points and 11.5 rebounds. On March 6, 2007, Oden was named First Team All-Big Ten as well being voted the conference's Defensive Player of the Year. Oden fouled out for the first time in his college career against Xavier in the second round of the NCAA Tournament, and was bothered by foul trouble throughout the tournament. In the Sweet Sixteen, Oden blocked a potential game-winning shot in the final seconds against Tennessee to preserve an 85-84 victory, and went on to lead Ohio State past Memphis and Georgetown to advance to the 2007 National Championship. In the title game, Oden scored 25 points, 12 rebounds, and had 4 blocked shots in a losing effort against the Florida Gators. On March 26, 2007, Oden, along with Kevin Durant, Arron Afflalo, Alando Tucker, and Acie Law IV, was named to the Associated Press All-American Team. Oden and Durant are the first freshmen voted to the All-American First Team since 1990 and the third and fourth overall. On April 20, Oden announced that he would be entering the 2007 NBA Draft. On June 28, 2007, he was selected by the Portland Trail Blazers with the #1 overall pick. Two of his Ohio State teammates were also chosen in the first round: Mike Conley, Jr. at #4, and Daequan Cook at #21. To begin his Trail Blazers career, Oden chose the uniform number 52. On July 1, before his first NBA practice, Oden was signed to a contract which provided for two guaranteed seasons and team options for third and fourth seasons. On September 14, 2007, Oden had microfracture surgery on his ailing right knee. He will miss the entire season. 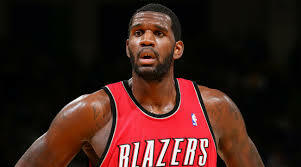 Oden's progress has been recorded on the Trail Blazer's website and his blog. So far reports have shown he has progressed on, or faster than, the scheduled healing time. Just before the All-Star game Oden began to run workouts with the team, passing and running plays. A full recovery is expected by next season. Rick Kamla listed Oden in his blog of 50 current players most likely to enter the Basketball Hall of Fame. Although picked first overall in the 2007 NBA Draft, Oden was classified as a rookie for the 2008�09 season because of the knee injury. Entering the 2008�09 season he was listed at 250 lb (110 kg), but according to Blazers' trainer Jay Jensen he weighed about 290 lb (130 kg) in July. Oden left his NBA debut with a foot injury after playing thirteen scoreless minutes against the Lakers. He returned on November 12, 2008 after missing two weeks, and scored his first NBA points in the first quarter against the Miami Heat. On January 19, 2009, Oden went for a career-high 24 points while also grabbing 15 rebounds in a 102�85 win against the Milwaukee Bucks. On February 13, 2009, he injured his left knee in a game against the Golden State Warriors, by bumping knees with opponent Corey Maggette, and missed three weeks due to a chipped knee cap. On November 23, 2009, Oden matched his career-high for points in a game again with 24. He set a new career-high for rebounds in a game with 20 on December 1. On December 5, 2009, Oden injured his left knee in the first quarter of a game. He was taken off the court on a stretcher. Later, he underwent surgery for a fractured left patella and missed the rest of the season. This injury marked the second time Oden had missed major playing time due to injury. On November 17, 2010, the team announced that Oden would have microfracture surgery on his left knee, ending his 2010�2011 season. 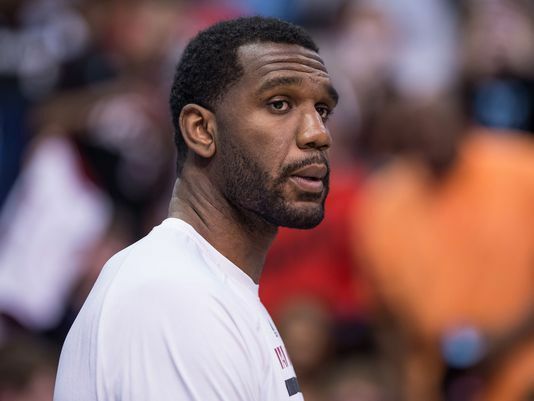 The injury marked Oden's third NBA season cut short due to a knee injury. Check out the Trail Blazers Vs Clippers you purchase Clippers Tickets for all home and away games. We are not assoicated with Greg Oden. We do not take advertising on this site. Adrian Peterson of the Oklahoma Sooners. Brady Quinn of Notre Dame. Ted Ginn Ohio State Wide Receiver. GregOdenOnline.com: Website devoted to Greg Oden and his future accomplishments. ReggieBushOnline.com: A well-proportioned, super-swift tailback for the unbeaten and top-ranked Southern California Trojans,Reggie Bush runs, catches, passes and returns kicks in a relentlessly successful and versatile manner. Reggie Bush does anything and everything on the football field, and he does it better than everyone else. You can also check out Reggie Bush Stats as well. Los Angeles Lakers : You can find Los Angeles Lakers Schedule, Smush Parker and Kobe Bryant , Andew Bynum information. Aaron Corp, Dashonte Riley, Demarcus Cousins, John Brantley, Jrue Holiday, Ryan Mallett, Tom Savage, Xavier Henry.